I was alerted to this deal on Friday, by my business partner with the last flat we bought in January. It was a pair of flats in a much better part of Bristol close to the city centre, the BBC studios and main train station. They were repossessed as a pair, and I estimated their market value (MV) at approximately £80K each (£160K the pair) although I don’t know the area well. We’d been told we could have them both for £85K, or £42.5K each, but we’d need to exchange contracts in seven days. There was £3K – £4K work needed on each. So I needed to raise £85K over the week-end! I had a buy-to-sell (BTS ) strategy in mind for these as the yields would be lower than in cheaper areas, and studio flats attract more transient tenants, meaning more hassle, finding new tenants, potential voids and repairs between tenancies. They received an offer back in October but there was a delay as the freehold resided with the Crown, probably due to dissolution of the holding company. This was close to resolution but now the buyer was unable to provide proof of funds (POF). Possibly he’d had a loan or mortgage offer withdrawn. The flats were unmortgageable with the title issues, hence the discount. By monday morning I’d secured two fully qualified offers for the £85K and one fully qualified offer for £42.5K This goes to show that if the deal is good enough you can always get funding. If you think you can’t, then ask me, I can help! 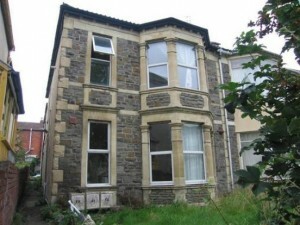 I was hoping to view that morning and was told there was no point as the other buyer had got the necessary POF. The estate agent said I could still put in a higher offer if I wanted, but I don’t like bidding wars as I don’t believe in bidding away my profit. Pretty soon there’s no deal for anyone. I know most investors take a different line on this but I’d rather let the other guy have it with a good margin and walk away. At this level of discount I fully expect to fail many more times than I succeed. But I hope to improve my average! I’ll also monitor the situation as if the buyer is stretched the sale could still fall down at the last moment. Don’t forget South West Property Tribes Meet on Thursday! No Upsell. Just Real People, Real Stories, Real Success.